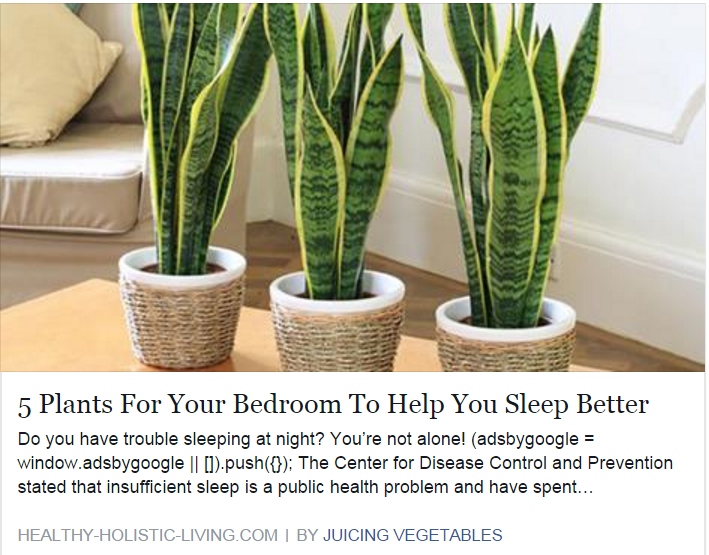 Let’s say the person posting this item below (I don’t know who so I’ve no clue) were marketing a sleeping aid… a natural version. But of course the person knows that people who have trouble sleeping don’t know her, or her product or company name, and so she knows not to lead with that, online. Because strangers just don’t respond to product names or images that they never heard of, by themselves. Marketers must put something out there to woo them in, first. THIS type of post (below) to lead with is an example of how she’d stand out to her ideal customers, (if she were marketing a sleep aid product or program) – without leading with her product. She’s leading with her product purpose – natural sleep help – to draw them in. Why? To show you know more about overcoming sleep problems than just your product. Establish yourself as a product purpose authority first. That way others will more likely trust your specific sleep aid product recommendation. See how that could happen for you if you did that too? If you’re a DIY type, this example will get you going! If you want help and specific step-by-steps, check out the Authority Marketer Program. That’s what it teaches. Exactly how to do that. And because it’s the Black Friday weekend, I’ll get you a one-time discount link that’ll save you 33%. Yup. Good until tomorrow (Sunday) midnight, PT. That’s mañana. PS Owners of Authority: I’m doing a special live class for you, to give you tips as it relates to marketing like this for YOUR specific product and business. N/C for AM owners.